Over the last few months on web application penetration tests, I've come across scenarios where I would need to create a hash for whatever reason. 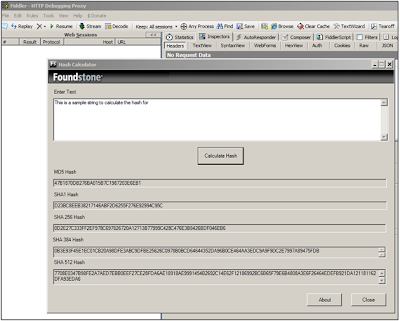 Unfortunately, Fiddler does not have a built-in hash calculator and I couldn't find an already existing Fiddler extension that would do this. 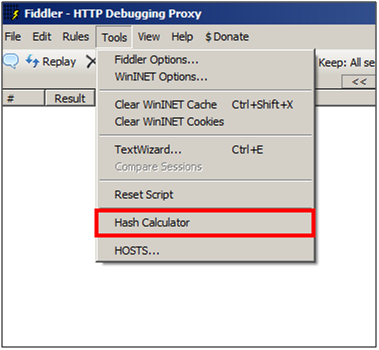 I'm a big fan of Fiddler, but I would have to use another proxy like Paros, Web Scarab or Burp just to calculating a hash. So, I wrote this extension that adds the capability to create hashes (MD5, SHA-1, SHA 256, SHA 384 and SHA 512) from within Fiddler itself. .NET framework version 2 or higher - If you already have a working installation of Fiddler on your machine then you already have .NET framework version 2 or higher installed. Once installed, the extension can be un-installed from the standard Windows “Add/Remove Programs” snap-in. Awesome! This is a much needed extension to Fiddler. Awesome work Neelay. 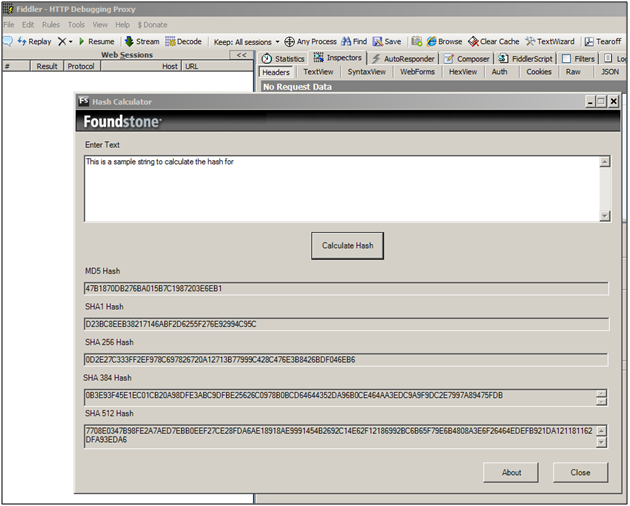 I am already using your hash calculator. :) Keep up the good work sir.